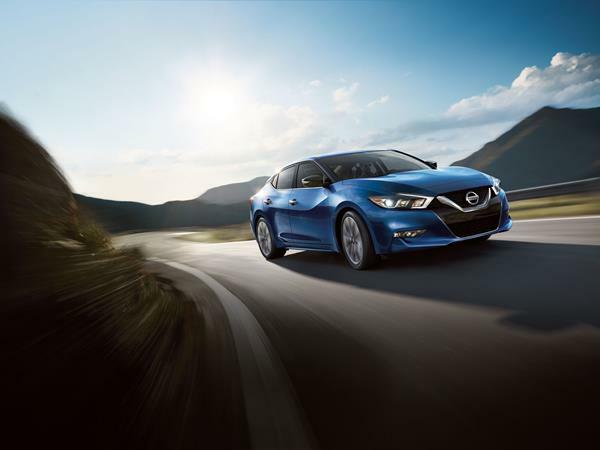 The 2017 Nissan Maxima carries on with the newest generation of the sedan, bringing upscale looks, a sporty appeal and sedan versatility as its primary strengths. The Maxima was completely revamped from the ground up last year and carries on this year with little change. The 2017 Maxima is a beautiful sedan meant to be a more upscale, premium option for the full-size market. The Maxima's appeal lies in its design and handling dynamics. This is a sports sedan without the luxury-level pricing most often associated with that moniker. The 2017 Nissan Maxima is a 5-seat full-size sedan sold in five trim levels. Full-size sedan design can be a mixed bag, with some having an unrivaled look and others having bland indifference as their primary styling point. The 2017 Maxima is definitely not the latter, with a flowing, beautiful sports sedan appeal that is both dynamic and unique. The Maxima stands out as one of the best looking non-premium vehicles you can buy, with a lot of concept-car styling that can turn heads. The Maxima shares a lot of design elements with the upscale-looking Murano, which fits inside the same general market as the Maxima targets. Most obviously shared is the floating roof design with the rear pillar blackout and the flowing curvature of the front fenders and roofline. The 2017 Nissan Maxima has an excellent 2:3:1 element to its structure, with a mid-sized hood, long body and short rear deck. This creates a balance that emphasizes the forward movement and tilt of the car, giving it a muscular, sporty effect. A line flows along the Maxima's length starting from the rear edge of its sharp headlamps and running down the bodywork, curving aggressively at the front fender, then straightening out for a slightly upward-turned move toward the rear door. Following that is the beltline mark, which also curves upwards at the rear door before dramatically swooping up and back to emphasize the blacked out rear pillar for the floating roof. From the front, the Maxima has the signature Nissan V-motion grille which emphasizes the smiling V shape in chrome accent, behind which a black grille mesh sits. At the rear the clipped deck lid has an integrated air spoiler and a flat, downward cut that emphasizes it and the bumper beneath. Below the bumper exhaust tips are visible to emphasize the car's sport driving nature. There's no doubt about the intentions of the 2017 Nissan Maxima's styling. It's meant to be sporty, upscale and head-turning. It accomplishes all of those goals with its beautiful design. With all of last year's exterior upgrades, Nissan still didn't neglect the Maxima's interior. 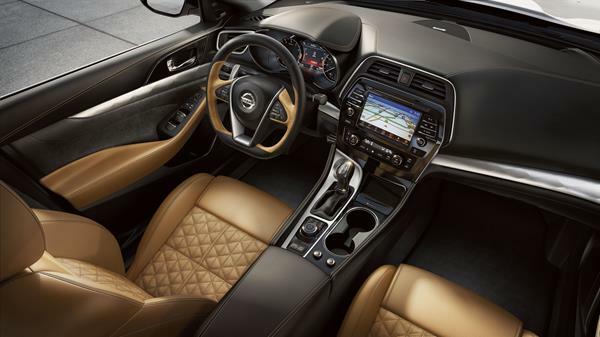 If anything, refinements on the Maxima's interior are as good as the exterior changes. Materials quality in the 2017 Maxima are excellent and well beyond that often expected of the non-premium classes. This creates an upscale appeal that goes with the lifted dashboard and lighter, more open cabin feeling created in the new interior for the sedan. Front seat roominess is excellent and accentuated by the Zero Gravity seating that Nissan has in several of its vehicles. Zero Gravity debuted in the Maxima's last generation and was a show-stopper in terms of seating comfort. A handy phone bin, well-placed USB ports, and smart driver's controls and gauges. We like the gauge positioning and its high-visibility design that is neither harsh nor distracting. In the back seats things are also very good, though roominess is a problem for larger folks. Unlike most full-size sedans, the 2017 Maxima does not have the kind of leg and shoulder room that might be expected. This comes from the Maxima's overall size, which is not nearly as large as more traditional American-style full-size sedans. It is the sacrifice made for the Maxima's sportiness. The Maxima's headroom is good throughout all seating positions. Trunk space is below average in the Maxima, though not by too much. It stands at 14.3 cubic feet, which is what would be had in a large midsize sedan, but a bit smaller than the average full-size one. It is accessible and useful, and we like the seat drop-downs for added room and the wide opening the trunk has on the Maxima. The 2017 Nissan Maxima has an 8-inch touchscreen on the center console that also has a redundant rotary knob control below. This makes it easy to use in a variety of ways and augments Nissan's good voice control system. New this year is the addition of Apple CarPlay as standard equipment for the infotainment. The infotainment screen in the 2017 Nissan Maxima has good clarity and definition with a smart positioning for maximum visibility. We note the lack of Android Auto in the Maxima, but that the optional upgrade Nissan Connect suite has become far more robust this year. These integrated apps allow a lot of useful interface for the more tech savvy. Helping that tech along is a large driver's information display at the center of the instrument cluster. This is standard equipment and offers several useful things, including display of turn-by-turn (if navigation is equipped) and vehicle data such as tire pressures and trip information. This too is a very clear, crisp display that is well situated. Satellite radio, HD radio and two USB ports are standard. Audio system upgrades with various trim points and packages bring more USBs (including some for the back seats) and more. The 2017 Nissan Maxima has only one engine and transmission option. It's a bit faster than the average full-size sedan, but doesn't sacrifice fuel economy for that. The EPA estimates the Maxima's MPG returns to be 21 mpg in the city and 30 mpg on the highway, for a 25 mpg combined rating. That's a bit lower than average for the segment, but we've consistently found it to be very conservative compared to real-world returns for the car. The 2017 Maxima gave us a 27 mpg average return after a week of driving, far more than the EPA's estimate. This came largely because the highway mpg estimate is lower than our average, which was well over 30. The 2017 Maxima has a very good reliability expectation with the J.D. Power and Associates Vehicle Dependability Study giving the car a "Better Than Most" rating for 2017. This is augmented by the excellent reliability returns from the 2016 model year, in which this generation debuted, and the relatively low number two recalls to-date (one for brakes and one for airbags). Those recalls are the only reason the 2017 Maxima did not receive a "10" here. These reliability ratings, which were not available last year, are the reason our score for 2017 is much higher than in our 2016 model year review of the Maxima. 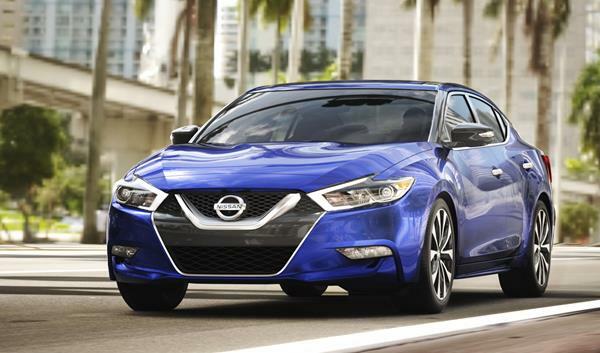 The Nissan Maxima receives top marks for safety across the board. The 2017 Maxima has received both a 5-Star overall rating from the National Highway Traffic Safety Administration (NHTSA) with 5-Star returns for all crash tests as well as a "Top Safety Pick+" designation from the Insurance Institute for Highway Safety (IIHS). The IIHS score comes after receiving top "Good" scores on all IIHS crash tests as well as having an available suite of full active safety technologies that also meet the IIHS' top testing criterion. These best-possible results are unusual in any segment, especially in the full-size sedan segment where frontal crash tests are often an issue for large sedans. The 2017 Nissan Maxima is powered by a 3.5-liter V6 engine that outputs 300 horsepower and 261 foot pounds of torque. 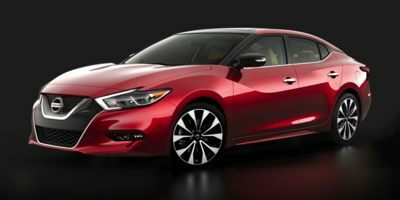 This engine has been used in the Maxima and other Nissan vehicles for years, receiving just a few technology upgrades for the new-generation Maxima. The V6 runs through a very well-done continuously variable transmission (CVT) that pushes the front wheels smartly. This CVT is nicely tuned for the Maxima and allows the car to achieve an unusually fast 6.5-second 0 to 60 mph sprint time. These drivetrain performance numbers are accented by the 2017 Maxima's wonderful handling and precision steering, which far outmatches most of the other offerings in the full-sized sedan market. The solid body stiffening and well-done chassis are part of the Maxima's new sport sedan appeal and Nissan's work to make this happen has really paid off with the 2017 Maxima. Out on the road around town, the 2017 Nissan Maxima has a good feel and sprightly nature. It can be a bit rough at lower speeds on choppy town roads, but the highest trim level's chassis control technology helps mitigate this. On the highway, the 2017 Maxima is both luxuriously quiet and wonderfully austere to drive. It's responsive but not loud or obtrusive. It's an excellent highway car. Maneuverability is great as well, with good visibility most of the time and a smart array of available cameras to get into tight spots. The 2017 Maxima has a good value proposition compared to other full-size sedans if the car's total package is considered on the whole. Its starting MSRP is a bit higher than the segment's average, but comes with more standard equipment than most rivals as well. With premium quality sans the premium branded pricing, the 2017 Nissan Maxima can be a great value for the right buyer. The base level S model is the lowest-priced, but the small jump to the SV with its leather interior, heated seating and parking sensors makes more sense. That model is priced at about $34,500, but we'd recommend adding a few more package goodies for better personality, especially in audio packaging. That might bump the car's tag to $36,000 or so, but it would pay off in both daily use comfort and longer-term resale value. The Maxima offers a good amount of efficiency without going to a pricey hybrid. The Maxima especially makes sense, though, for those wanting a premium sports sedan without having to pay the price to get into a luxury-level model. The 2017 Nissan Maxima has received a very high score with us in the full-size sedan segment. Competition is not as fierce in this segment as it is in other markets, but there are some great options to choose from regardless. Chief among the competition is the Toyota Avalon, which has a similar size and comfort level but not as much sportiness on offer. The Avalon does have a very efficient hybrid option that's well worth considering. Options from the Big Three in Detroit include the very roomy Chrysler 300 with its muscular appeal, the beautiful Buick LaCrosse with its premium interior, and the stately Chevrolet Impala with its more price-friendly status. The Hyundai Genesis is also very competitive with the Maxima for sportiness, but not for refinement. The end result is that the 2017 Nissan Maxima offers a very compelling package of sportiness, upscale looks, a refined interior presence and wonderful technology. With excellent fuel economy and crash-readiness, the Maxima is also a smart family drive to go with its fun road dynamic. Interested to see how the 2017 Nissan Maxima ranks against similar cars in terms of key attributes? Here are the 2017 Nissan Maxima rankings for MPG, horsepower, torque, leg room, head room, shoulder room, hip room and so forth.